Meteorites are naturally occurring objects that originate in space and survive a fall to the ground through Earth's atmosphere. Most are remnants of asteroids or possibly comets. However, a few have been shown to be pieces of Moon or Mars that were launched into space by an impact event. While moving through space these objects are known as meteoroids. The bright streaks that they produce while moving through Earth's atmosphere are known as a meteors. The term meteorite is also used for a meteoroid that has landed on the surface of a celestial body other than earth. Thousands of people collect meteorites and they are served by a relatively small number of reputable dealers. A few select dealers are listed below. 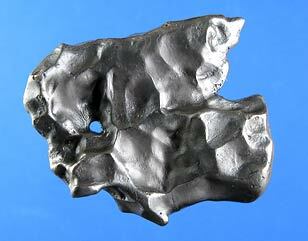 They all provide a fine range of genuine meteorites and related materials. Many fake meteorites are offered for sale, so we strongly recommend buying from dealers who display the International Meteorite Collectors' Association (IMCA) logo on their websites. The IMCA sets the highest possible standards for commercial dealers and all vendors must be recommended and approved for membership. 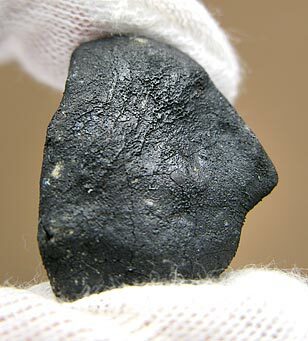 Is the Millbillillie Meteorite from Vesta? Best Places to find Cash & Treasures "Meteorites"
A complete stone meteorite (L6 chondrite) recovered in McLennan County, Texas, only a few days after it fell to earth. This meteorite was part of the spectacular February 15, 2009 fireball filmed by a cameraman in Austin. Note the black fusion crust which is typical of freshly fallen meteorites, and the numerous flow lines—both created by the intense heat generated by the fireball. A few websites share information about how to hunt for meteorites. Here is some recommended reading. 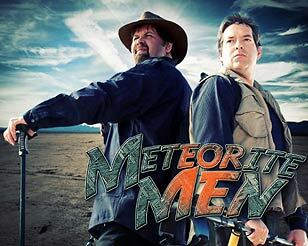 Groups dedicated to communication, education, outreach and collaboration related to meteorites. The following websites contain interesting articles on meteorites, meteorite hunting and related topics. Lunar Meteorite identification - Washington Univ. A number of meteorites found on Earth have been shown to be pieces of Mars by studying their chemical and mineralogical composition. This Sikhote-Alin iron meteorite (IIAB) was seen to fall in a remote area of Siberia in 1947. It was part of the largest documented meteorite event of modern times. Note the indentations, known as regmaglypts, and the natural hole, caused when the meteorite melted during flight. Iron meteorites that exhibit attractive sculptural qualities, such as this example, and highly prized by collectors for their beauty. 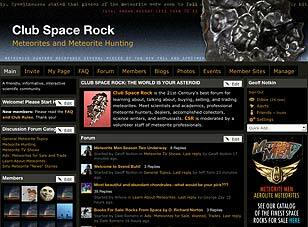 With over 3,200 members, Club Space Rock is the world's largest meteorite forum and it is the place to learn about space rocks and meet hunters, collectors, researchers, dealers and enthusiasts. And it's free! The web pages linked to below have nice photos of meteorites, meteorite hunting and related topics.